Why do we offer M22759/32 over M22759/16? Simple, M22759/32 is better! 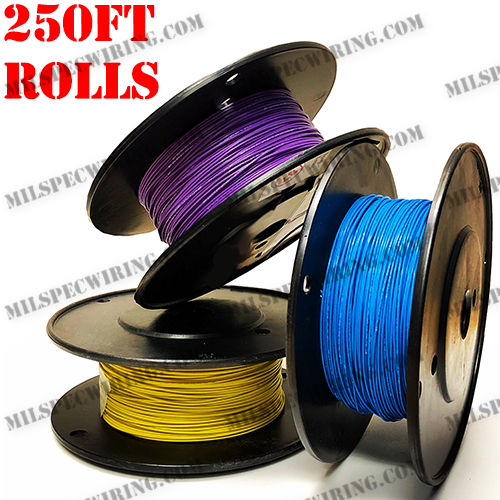 M22759/16 is a cheaper wire, with thicker insulation best suited as a general usage wire. M22759/32 is a lightweight, high temperature airframe and avionics wire insulated with a single layer of cross-linked, modified ethylene-tetrafluoroethylene (ETFE) coating and rated at 150 degrees C (302 degrees F). It has a tin plated copper conductor and is rated at 600V. The dual insulation provides superior cut-through and abrasion resistance making it ideal for use in Mil-Spec, Aerospace and Motorsports applications.